We are constantly on the go in our house. 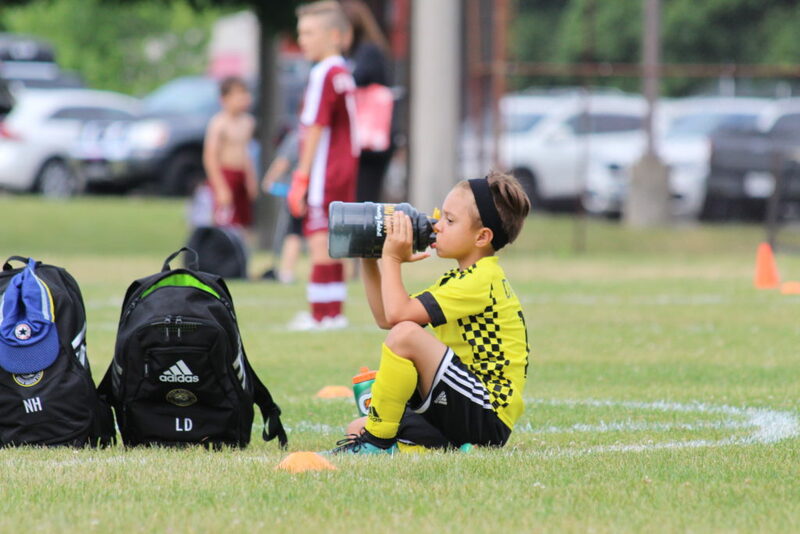 Both my husband and I work full time and our boys are both in competitive soccer. This means that we are up and on the move around seven in the morning and somedays not quite home until after nine at night. While we have a very busy lifestyle, there are a few things that I will not compromise on and that is nutrition. My kids need good food choices in order to fuel their minds and bodies. 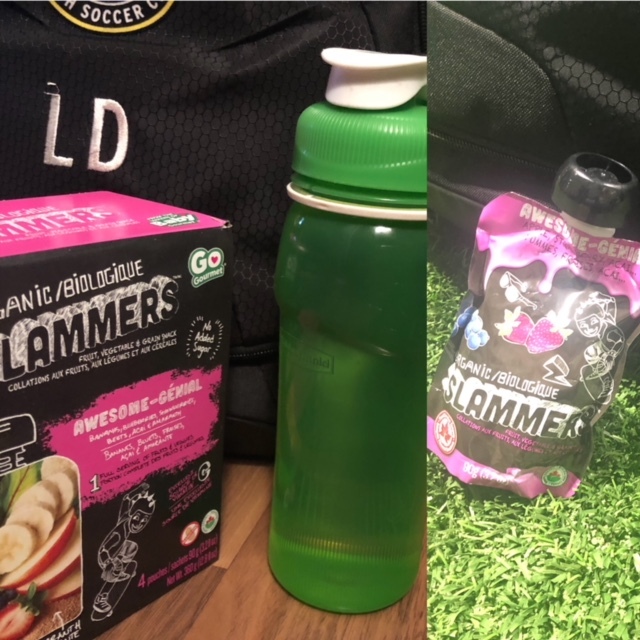 I was recently introduced to Slammers Snacks which are organic, no added sugar snacks that are easy to take on the go. They are peanut and gluten free and contain no artificial colours or flavours – a complete package for planning out school lunches and sport snacks! Epic contains mangoes, bananas, carrots, orange, Greek yogurt and real vanilla. 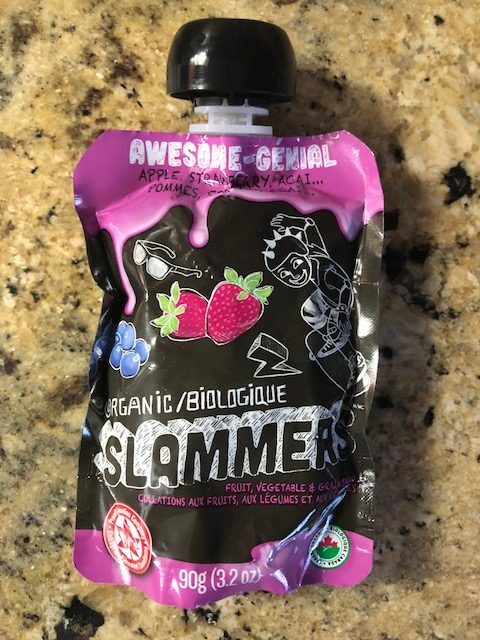 Awesome contains bananas, blueberries, strawberries, beets, acai and amaranth. Chill’N contains bananas, blueberries, butternut squash, Greek Yogurt and yumberry. Amped contains apples, strawberries, cherries, chia and purple carrot. Pomegranate Grape Crush (superfood smoothie) contains grape, pomegranate, coconut, apple, banana and purple carrot. Watermelon Kiwi Burst (superfood smoothie) contains strawberry, kiwi, watermelon, apple, banana and beet. 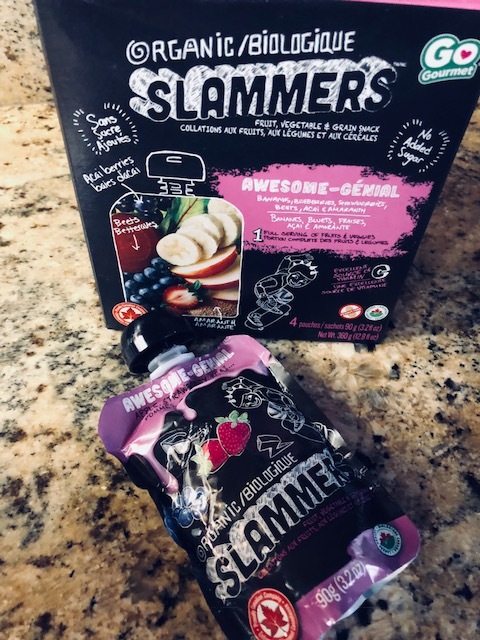 We tried out the Awesome and Chill’N Slammers Snacks and fell in love with the rich taste, each to open lid and just the convenience in general of the packaging. 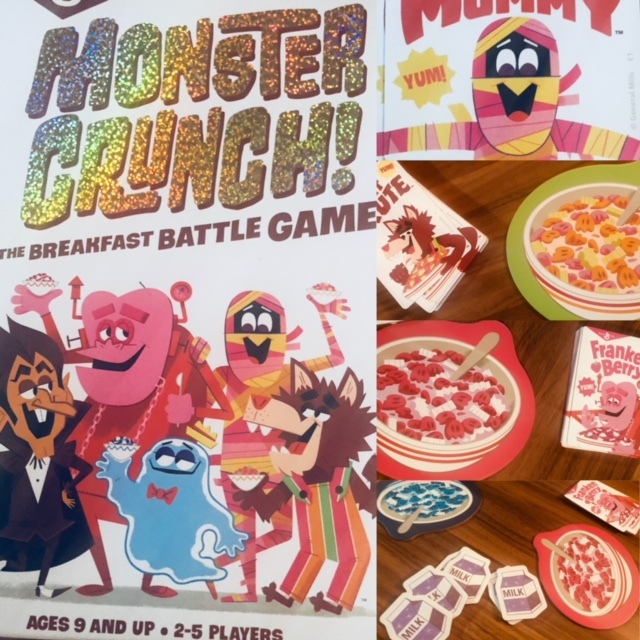 The packaging allowed us to throw it in the side of our son’s soccer bag and run out the door or if we were running late in the morning, they were a perfect early morning snack to have on the way to before school care (both of my kids do not like breakfast so we try to get them to eat anything before they leave). I loved the ingredient list – there is no way I can get my youngest to eat some of those listed vegetables (beets – no way!) and I love how this is snuck in there and it still tastes amazing. He has no idea he is eating vegetables – parent win!. 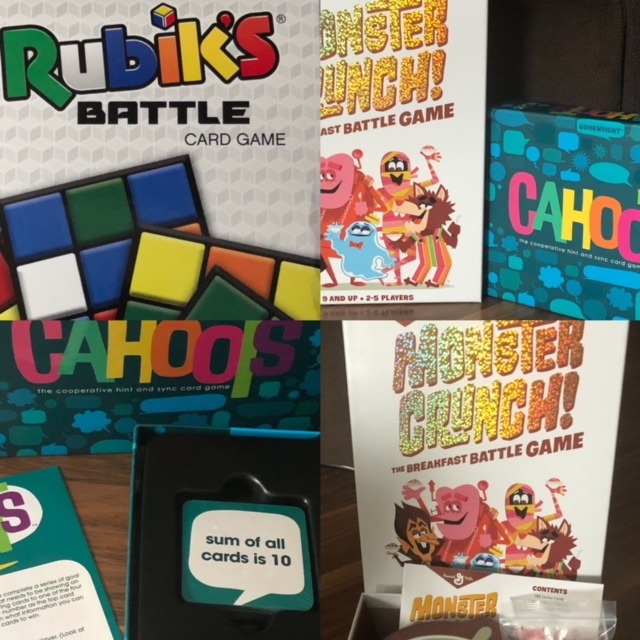 There are four pouches to a box and make a fantastic addition to school lunches, after school activities and sports (we also brought some for his team mates as an after game snack and the kids loved it and bonus is they can’t make a mess in your car with it!). 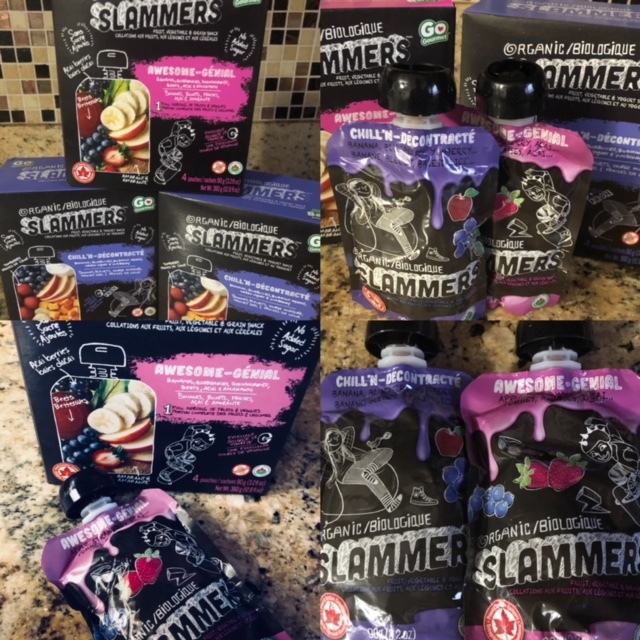 Make sure to check out Slammers Snacks website – it is full of helpful information and recipes that your child will love (we can’t wait to try Slammers Muffins ). Make sure to follow them on Facebook and Twitter! My lifestyle is constantly on the go – I have work, family and extra curricular activities but at the same time I must still be open to communications and receiving phone calls and emails regardless of the time of day. This puts a huge strain on my cell and tablet battery life. I go into instant panic mode when I see a low battery message especially when I know I have a deadline or commitment to make. I can not afford for my electronics to give out on me. 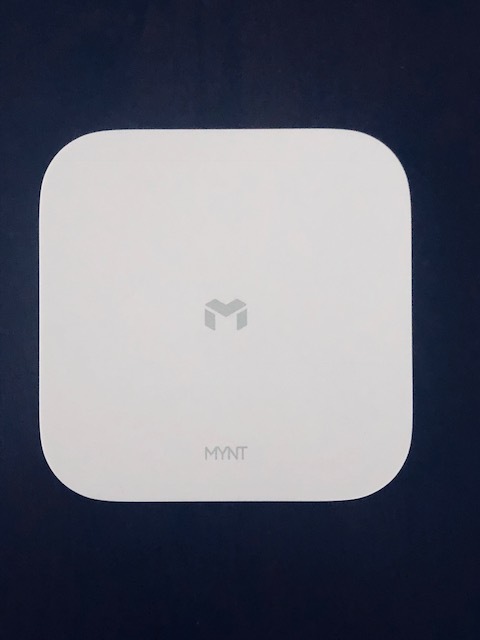 With my busy lifestyle, a wireless charging pad was an important decision for us to make. I could not be tied down by cords and electrical plugs anymore. Too many times, I had my phone or tablet shut off on me because I could not find a outlet to plug it into. Not to mention the hassle of the cords in my purse which after time, the wires at the ends tend to break and it takes longer and longer to charge (no fun at all!). 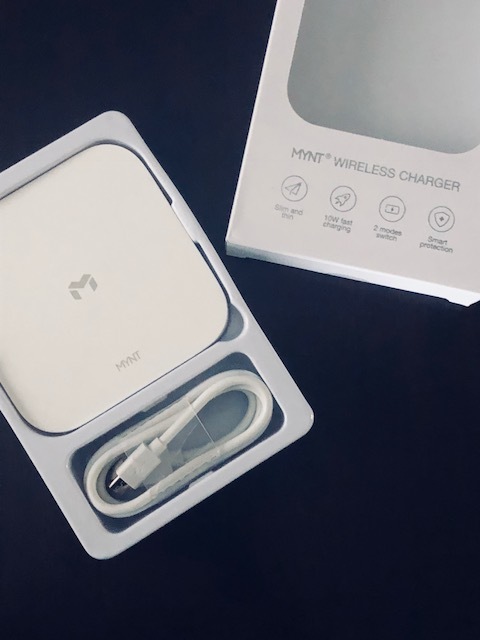 The MYNT Wireless charging pad has every feature that I wanted and needed to ensure I never miss any calls, emails or photo opportunities with my children. It is wireless, sleek and efficient, the complete package! When I first opened the package, my son didn’t believe me that it was a charging pad because of how sleek and slim the design was. It can easily fit in your purse or be tucked away in the office without taking over the space and it adds a nice element of design (it makes a style statement all on its own!). The charging pad was simple to use and easy to figure out. I really appreciated the fact that I did not have to take my phone out of its protective case in order to charge it. It charged efficiently and at the same rate as a regular charger would (maybe even a bit faster). My phone held the charge well, I had no concerns about it losing battery life faster after a charge. 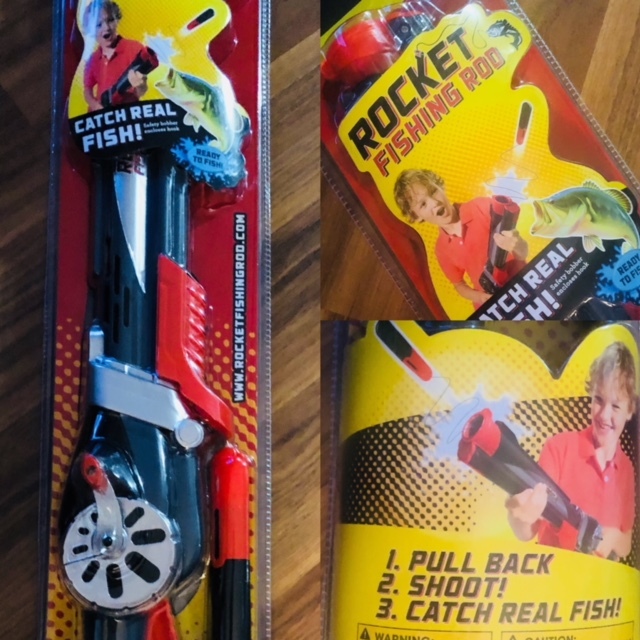 I was impressed with its power for its small size! I could easily slip it into my purse and take it with me to work, events and soccer practices without worrying I would lose it, break it or would not be able to use it when we got there. This is a definite must have item in any busy household! 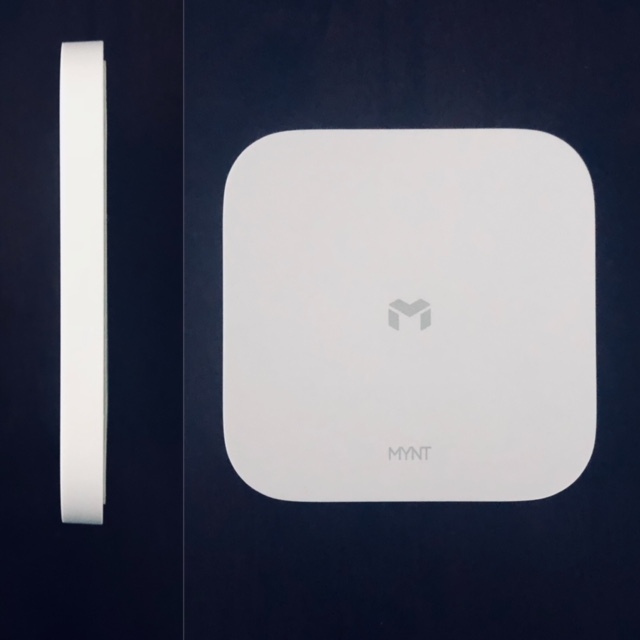 Are you still looking for holiday gift ideas for the techie in your life? With its affordable price and fast delivery, this would make an excellent gift under the tree this holiday season. Gift receivers will love the design and efficiency! 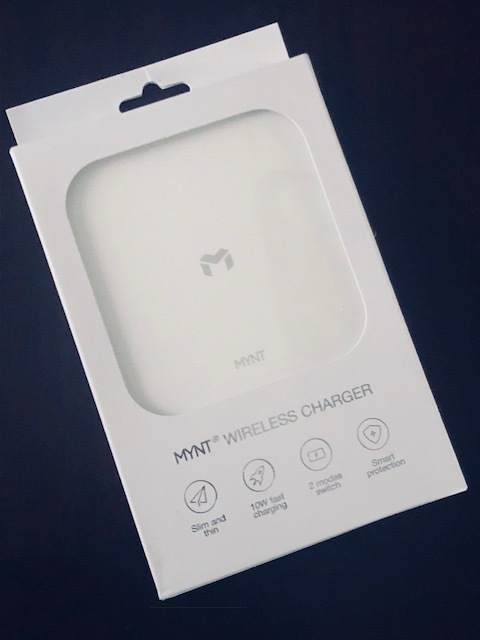 You can purchase a MYNT wireless charging pad on Amazon. The holidays are a special time for children – it is full of magic and mystery and I want my kids to hold on to this belief and magic for as long as possible. Santa is that figure that you can’t help but love. He is the symbol of joy, kindness, giving and receiving. Every child deserves to believe in Santa and feel his magical spirit this time of year. Package from Santa is a service that helps you celebrate the magic of Christmas and brings a personalized message just from Santa to your door. 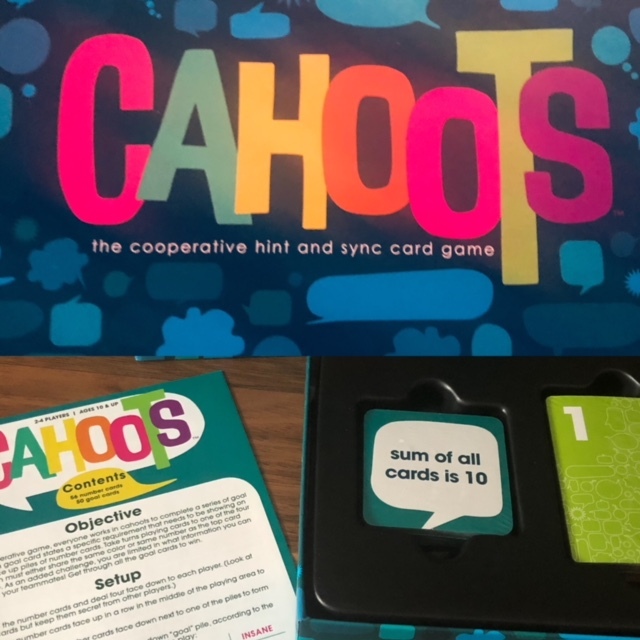 Parents can choose from three different packages on the website all of which contain a personalized letter that you can choose from. You can choose from either the Gold, Silver or Platinum package based on your own individual needs. For a limited time, each package also includes a personalized video, phone call and four printable nice list guides. 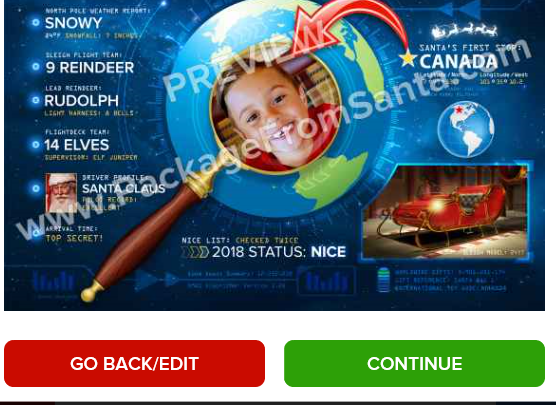 We ordered the Silver Package which also includes a personalized nice list certificate, a personalized flight plan and photo of the big man. 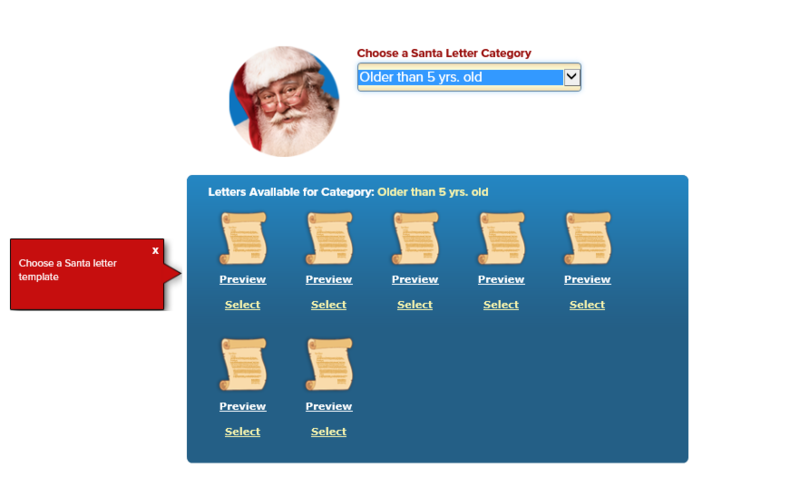 The website was easy to navigate and the first part of the order process was selecting our son’s letter. 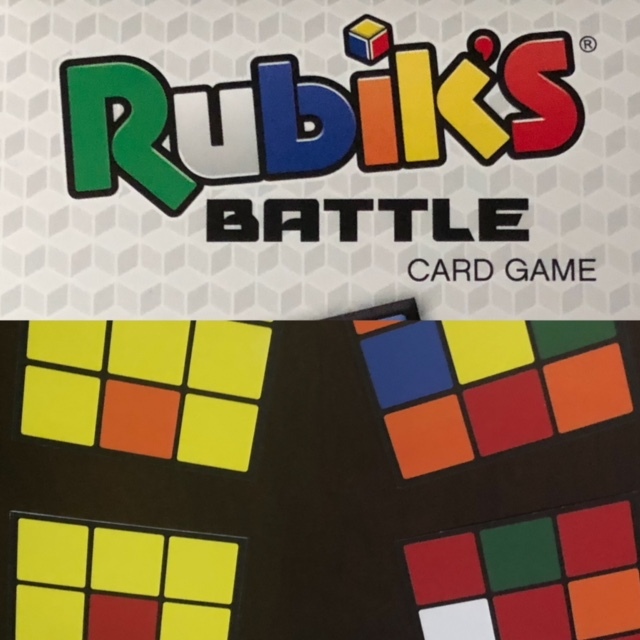 You have several template categories to choose from – we decided to go with the older than five years old category and found one that would suit our son the best. After we personalized the letter and certificate, we created a flight plan! I have to admit this was really cool and this is one of our favourite things to talk about on Christmas Eve, where Santa is and when will he finally be at our home. I was even able to upload a picture of our son’s face to the flight plan (I can’t wait to see his face when he sees that). 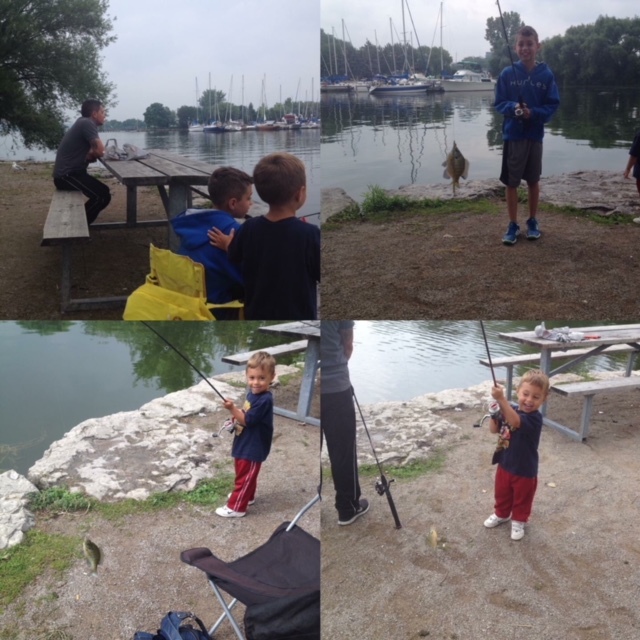 The entire process was simple and quick which this Mom loves! I placed my order over the weekend and within two days my order was shipped. I was impressed with the speed on which my order was processed and shipped. 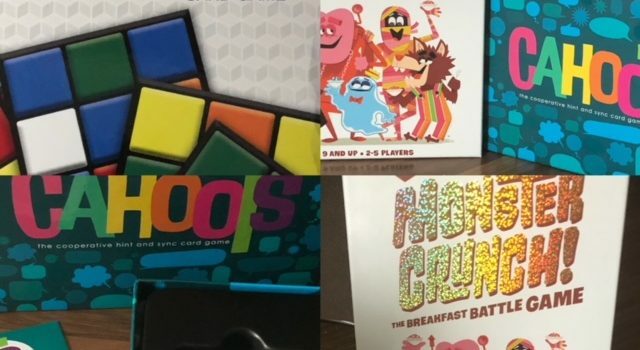 I can not wait to see our son’s face when he gets his special delivery in the mail especially with the packaging examples that were displayed on their website. 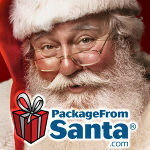 Right now you can save 25% off at Package from Santa! Head over to their website and enter the promo code: FAM2060 to receive your discount. Wishing you a very Happy holiday season and creating lasting memories with Package from Santa. Disclosure: I received the silver package in order to facilitate this review. All opinions expressed are my own.